Below is a letter in response to the recent decisions made by the Israeli government written by the Rehovot and Minneapolis Partnership2Gether steering committee members. This letter will also be published in the Rehovot newspaper. 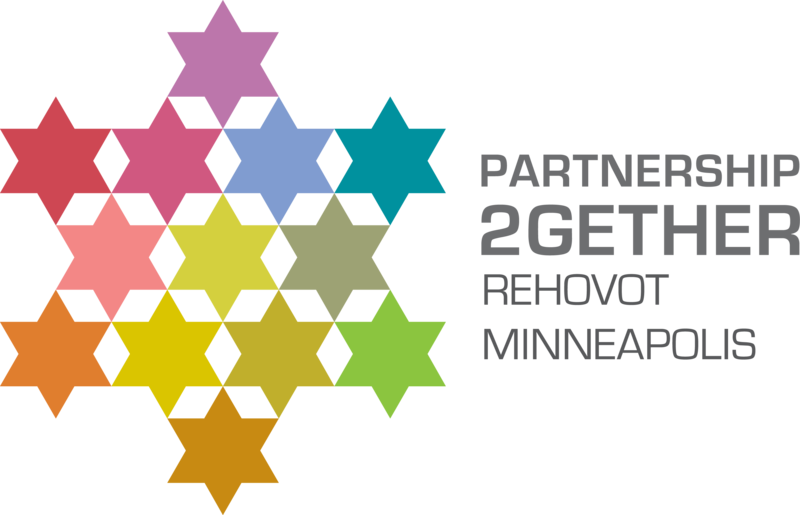 We, the undersigned, Israeli citizens from Rehovot and members of the Jewish community in Minneapolis (Minnesota), voluntarily serve as members on the steering committee of Partnership2Gether within the framework of the Jewish Agency. Our partnership – along with its 46 members of this global network of communities – connect Jewish communities in Israel and around the world, with an emphasis on deepening our Jewish identity and Jewish Peoplehood awareness, community building, and leadership development. We run a variety of programs for children and youth, college students, educators, and social entrepreneurs. Our activities are funded by the Jewish community in Minneapolis, the Jewish Agency, and the Rehovot Municipality. For us, the citizens of Rehovot, our personal acquaintance with our friends in Minneapolis revealed the rich diversity of the Diaspora Jewry, in which Jews from different streams manage to maintain a cohesive community, to address issues, to respect each other and at the same time strengthen the common values, culture, and awareness. This exposure enriched both our own world as well our Jewish identity and deepened our commitment to fight for Jewish pluralism in the State of Israel. We are dismayed and concerned with how the persistence of one particular interpretation of Judaism in the Jewish state achieves the exact opposite of what is intended, and even contradicts the Declaration of Independence. It distances many Israelis from the Jewish component of their identity rather than uniting. For us the Jews of Minneapolis, who see firsthand (as a result of our partnership with Rehovot) the challenges in the Israeli society, the June 25th government decisions are yet another slap in the face with the ongoing saga of non-recognition and humiliation towards us, in the Diaspora. We are shocked that the Israeli government has chosen to cancel a historic agreement that was reached with great effort amongst representatives of the various Jewish streams: to establish a dignified area at the Western Wall to be run by the government and the liberal streams. We are equally appalled with the Conversion Law, which reinstates the monopoly of conversion to the Chief Rabbinate and affects thousands of Jews who have been converted in recent years placing them into alternative tracks that the Israeli establishment does not recognize. The decisions of the Israeli government are equivalent to turning a blind eye to the strategic challenge of connecting Diaspora youth to the Jewish people and the State of Israel. These government decisions directly affect the ability of the young to view Israel as their home. Needless to say, government decisions also undermine the efforts to recruit and train Jewish students to protect Israel from BDS supporters on campuses. The media frequently indicated the potentially damaging effect on the level of support from the Diaspora Jews through their donations, however, in our opinion, this is not the main thing. The unfortunate government decisions on June 25th directly affect our common future as a nation, the security and economic interests of the State of Israel, and the original purpose of the State for the Jewish Nation. We stand a few days before the seventeenth of Tammuz, and it is our duty to remind you that because of hatred, the Temple was destroyed twice. We stand before you, Mr. Benjamin Netanyahu and every member of the government, demanding that you recognize the seriousness of this matter and act decisively to cancel the government’s June 25th decisions. To celebrate Shabbat during 100 Days // 100 Ways, we asked fifth graders at Bet Shalom and their “twin” classroom at the Hadarim school, in our sister-city of Rehovot, Israel to draw us images of Shabbat. Below view a gallery of images from the Bet Shalom students. Stay tuned for more images, this time from Rehovot! Minneapolis Jewish Federation is paired with the city of Rehovot, Israel as part of the Parntership2Gether program through the Jewish Agency for Israel. This partnership is in its second full year and has recently begun implementing exciting programming in both the Minneapolis and Rehovot Jewish communities. One program of the Minneapolis/Rehovot P2G is a school classroom “twinning.” Twinning programs promote the sense of Jewish Peoplehood and shared responsibility. Students have the chance to meet each other and have dynamic conversations around issues such as Jewish identity and social responsibility. You’ll see these and more on our Facebook page every Friday. Be sure to check out the rest of our 100 Days events and posts on Twitter as well as on our website. Thanks to technology, we are able to bring two synagogues, with a deep love of learning, together. Beginning November 17, Congregation Darchei Noam in St. Louis Park will begin simultaneous study sessions with synagogue The Berman Shul in Rehovot, Israel. The six classes will be held on Tuesday evenings, the Minneapolis group meets at Darchei Noam at 7PM and on Sundays at 11AM. The following Sunday the groups will gather via Skype in Minnesota and Israel to discuss what they learned and share insights. These classes are free and open to the community. The schedule is below, and we hope to see you there! The #‎Momentummn‬ delegation of the‪#‎MOMentumtrips‬ of women visited Rehovot on Tuesday, October 27th as a part of our Partnership2Gether program through the municipality of Rehovot, the Jewish Agency and the Minneapolis Jewish Federation. The visit was hosted and sponsored by Rehovot’s Deputy Mayor, Zohar Blum, and David Ashkenazi, Rehovot’s Chief of Staff and Head of Foreign Relations Department. The group spent the day touring the city (Weisman Institute and the Ayalon Institute), visiting kindergartens and early childhood care facilities in Kiryat Moshe as well as a little bit of shopping. The highlight of the visit was dinner at the Minkov Citrus Orchard Museum along with Rehovot members of the partnership’s Steering Committee which is Co-Chaired by Dr. Yoram Blachar. The meeting between members of the Steering Committee and the women from the Minneapolis community was successful, exciting and left a taste and desire for further development of the relationship. Fun fact: Melanie Ginsburg, a MASA Israel student from Minneapolis on a Teachers Fellows program in Rehovot, spoke with the group while they were there about how Federation supports Masa (which is also a Jewish Agency for Israel program), and about what she is doing in Rehovot. Dozens of members of the Minneapolis Jewish community are scheduled to visit Rehovot in the upcoming months to continue establishing relationships and friendships with the residents of Rehovot. We helped to build Israel. Today we help keep it strong. For more than six decades, we’ve helped strengthen the State of the Israel. And our commitment continues. Unwavering. Federation is dedicated to ensuring that all of Israel’s citizens have equal access to educational and economic opportunity. And we work tirelessly to deepen connections between the Jewish State and the global Jewish community. Despite Israel’s economic success, one in five Israeli families lives in poverty. We provide a safety net for the most vulnerable, and we advocate for those in distress. When Israel is threatened, we mobilize our networks at home and overseas to come immediately to her aid. That global connection is fostered by immersive experiences for young Jews and programming that brings Israel to life in communities throughout North America. Federation has helped millions of immigrants move to Israel and start new lives—26,000 in the past year alone. Thousands of elderly benefit from innovative services they receive right in their homes. Thousands of poor families know their children will have a brighter future thanks to our Federation-supported programs. Job training programs tackle high unemployment among the one million Israelis with disabilities. The money we raise during times of crisis helps keeps Israelis safe during conflicts and funds post-trauma counseling for tens of thousands living on the front lines. And we’ve helped hundreds of thousands of young Jews forge a personal connection to Israel through programs like Taglit-Birthright Israel, and built strong relationships between communities in Israel and North America through Partnership2Gether— including our partner city, Rehovot. We stand by Israel’s side. Always. While you can’t prevent further escalation in the violence in Israel, you can deliver swift assistance to the victims through the Jewish Agency for Israel’s Fund for Victims of Terror. Because of your gift, victims of the horrifying terrorist attacks happening throughout Israel will receive assistance quickly—often within 24 hours—so they can start the process of healing.